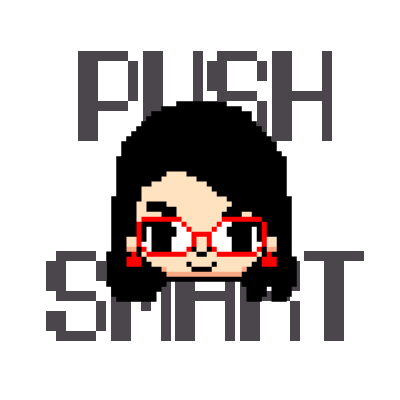 Push to Smart is a YouTube channel–and blog!–dedicated to the critical reading of video games. It is powered mainly by two people, coming together from backgrounds in game design, comparative literature, and film. We love to play games–almost as much as we love to discuss why we love games. Join us on Tumblr and Twitter for more game talk. Jaylee comes from a background in Japanese language and Comparative Literature. She’s all about theme and character and likes applying critical theory to her day job as a barista (No she doesn’t, that’s a lie. I’m a liar). With an intense admiration of Lois Lane pushing her into journalistic avenues, she has found herself a music and comic book critic for the past four years and continues spouting opinions on the Jpop/Jrock podcast GK AD. Find all posts by Jaylee. Stacey–you know, that Stacey–comes to Push to Smart from a background of Game Design and Japanese. She is mostly interested in how games enable storytelling and cross-cultural experiences. She also has a dog that inevitably shows up if you follow her on Twitter or Tumblr. Find all posts by Stacey.